Leading Manufacturer of frp gutters and frp launders from Rajkot. The FRP Gutters offered by us are used to facilitate safe drainage of acid, alkali, sewer, and chemicals in the chemical industry. We use quality raw material to manufacture this assortment of products. These products are also available in various sizes and patterns to assure complete satisfaction to our customers. we manufacture FRP/GRP launders for use in water treatment plants/STP plants. We manufacture the FRP/GRP Launders are per the specific requirement of the clients. A resin used are Isophthalic Unsaturated Polyester Resin, Vinyl Ester Resin/Bisphenol resin. All the sizes in length, width height are available. We also provide the complete set with SS/MS structural parts. 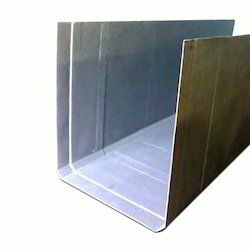 Looking for FRP Gutters ?